Like much of Portland’s best food, these genre-defining waffles are served to-go from, yes, a window (you can enjoy the buttery creations at some nearby picnic tables). The liege-style waffles, adapted from a classic Belgian recipe, come sweet (crusted with pearl sugar, chocolate-dipped) or savory (with accoutrements such as bacon, ham and cheese). We adore the spicy bacon cheddar jalapeno option, a golden waffle scattered with fresh chopped peppers, draped with thick-cut bacon, showered with grated cheddar and drizzled with house-made avocado-tomatillo salsa. 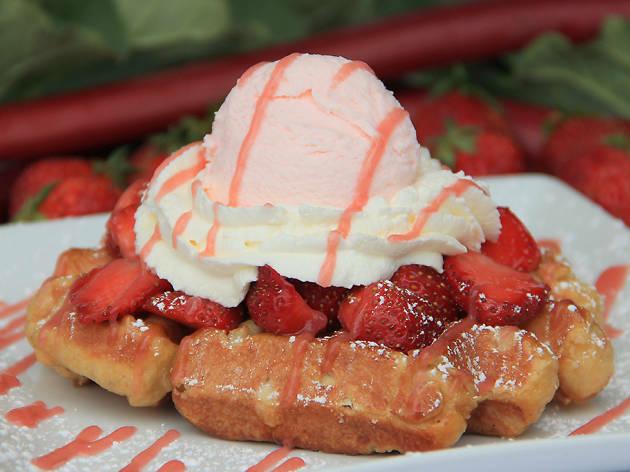 Portland style Liege sugar waffles, hand made just for you, using premium local and seasonal ingredients set in a fun and whimsical atmosphere. 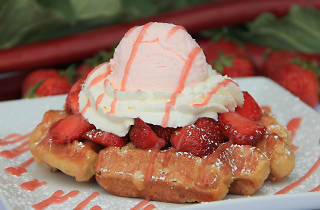 Are you ready for an amazing waffle experience?